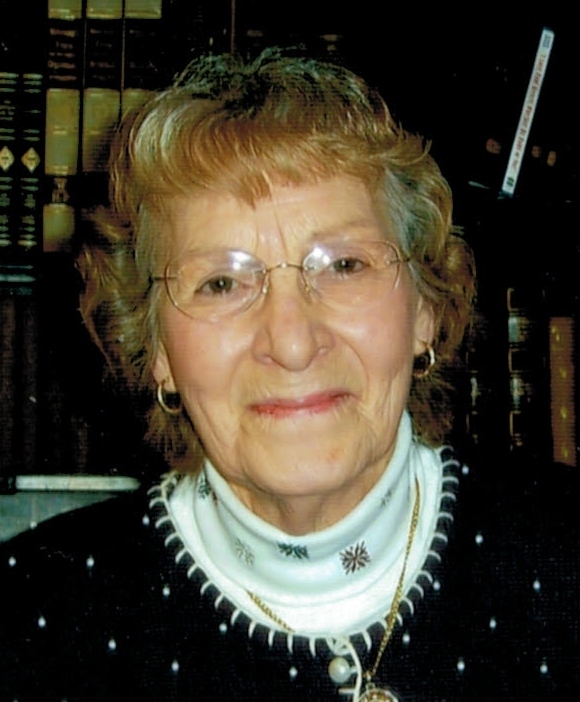 Joan D. Nosel, 86, of Warren, PA. died Saturday afternoon, September 6, 2014. She was born May 11, 1928 in Warren, PA.
Joan was the daughter of Raymond and Lorena Schumann Dickerson. She was a lifelong Warren area resident and a 1946 graduate of Warren High School. She enjoyed traveling with Warren Senior Center, gardening, antiques and doll collecting. She was an active volunteer at Warren General Hospital working over 5,500 hours. She was a member of Emanuel United Church of Christ, former choir member, and a member of the church women’s guild and Emanuel class. She enjoyed watching birds from her window. She is survived by her children – Gwendolyn Nosel-Scutella and husband, Pat, Susan Nosel and husband, Alan Teconchuk all of Warren, PA., Gregory Nosel and wife, Patti of Edinoboro, PA., Dennis Nosel and wife, Sheryl of Warren, PA., Thomas Nosel and wife, Cathy of Dover, Delaware, 3 Siblings – Paul Dickerson and wife, Betty of Warren, Pa., Anita Johnson and husband, C. Russell of Smethport, PA., Milton Dickerson of Jay, N.Y. , 10 Grandchildren – Jennifer Scutella, Tracy Nosel, Heather Wees (Dave), Abbie Nosel, Matt Nosel, Jeff Scutella (Stephanie), Kristin Keyse (Ed), Travis Nosel, Amanda Nosel, Melissa Nosel, 6 Great Grandchildren, several nieces and nephews. In addition to her parents, she was preceded in death by her husband of 48 years, George Nosel who died October 26, 1997 whom she married June 25, 1949 in Warren, PA., 2 Sisters – Lorena P. Dickerson, Sally Schwab, 3 Brothers – Lloyd Dickerson, Herb D. Dickerson, Robert Dickerson, infant brother – Chubby Dickerson. Thoughts and prayers are with you – hugs for you… God Bless. My condolences to all, Aunt Joan will be missed. Oh how we looked forward to our visits in the backyard & talks about the different flowers & how you just loved the smell so much of our fresh lavender! You were always so cheerful & had such a positive attitude//you brightened our days..you will truly be missed & be fondly remembered always. May you be at peace & know many love you! My thoughts and prayers are with the extended Nosel and Dickerson families. I have such great memories of summers spent in Warrant visiting with my relatives, July 4th picnics and family gatherings at Aunt Joan’s house. She was my godmother and always so good to me. I will miss her.